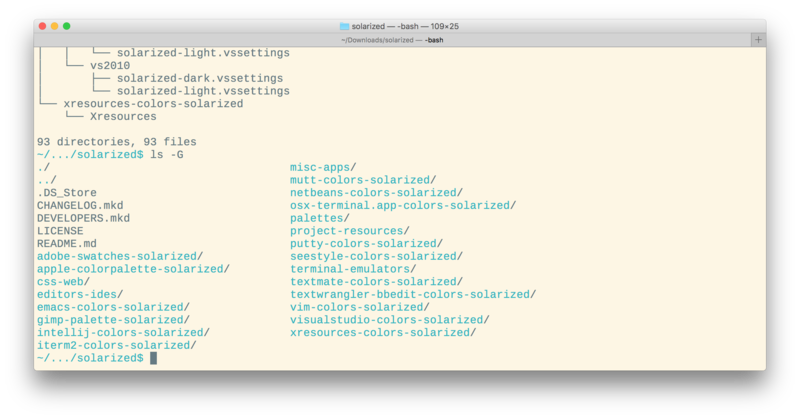 I want to use the Solarized Light theme in both my Terminal and VIM. 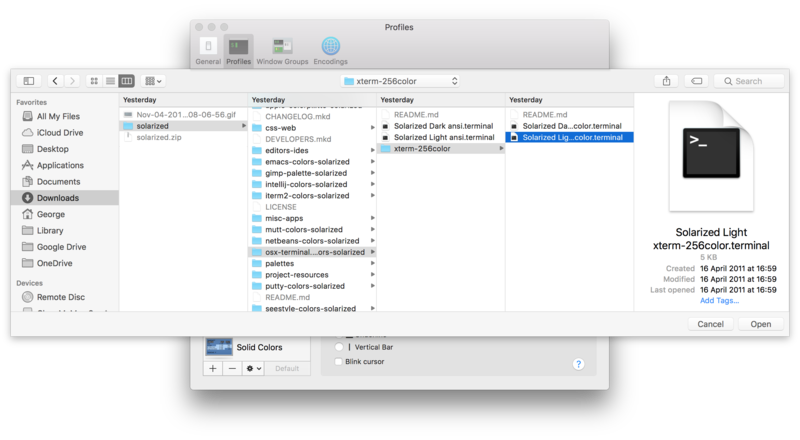 I seem to have got it working in Terminal, I downloaded the entire package from their website, tree output, and then in my terminal preferences I imported the Solarized Light xterm-256color profile from the download. Then, I proceeded to try to set VIM's color scheme to Solarized Light as well, so I git-cloned git://github.com/altercation/vim-colors-solarized.git into my ~/.vim/bundle (I use Pathogen). Why does it not seem to work? You can see around the edges of the terminal the colors it should be, why is the text so unreadable and the background color so ugly? I fixed the issue by setting g:solarized_termcolors to 16 instead of 256. Not the answer you're looking for? Browse other questions tagged vimrc terminal colorscheme macos or ask your own question. How to set my terminal to use solarized palette? Is it possible for Vim to output ANSI colors from the terminal, without a colorscheme?